I welcome you all to a new regeneration of cycle Torah readings! This is another one of the many interpretations of the Scriptures from the light of Ras Tafari by, I, Lidj Yefdi (or Yefdeyah). I assure you that if you are patient with me, come with a willing mind and heart(ready to learn), you will receive more than what you might have asked for, in seeking the perspective of a Ras Tafarian’s I-sight (eyesight) into the study of the Scriptures. So,with this Hebrew Shabbot(or Sabbath day) if those who actually open up their Bibles to read in a Jewish/Hebrew cycle of readings, & thoroughly discern, have come to the opening of the Torah portions with W(V)aYïgash – וַיִּגַּשׁ. On the Jewish or Hebraic Calendar in this year 5777, this Sabbath day would probably fall on the 11th – יא, & on the 12th – יב, of the month of Teb(v)et – טֵבֵת, for this week, in this mode of study; for those out in the diaspora or outside of Jerusalem/Israel. (The Hebrew Calendar corresponds to a Lunar cycle of the Moon) &, from an Ethiopic-Christian perspective, in what may be known as the year 2009/2029/7509, on the Ethiopic calendar. This calculation, with its readings from the Scriptures, would align to the 28th – ፳፰, & the 29th – ፳፱, of the month of Tah’sas – ታኅሣሥ. In the Scriptures, this portion of study would also be known as Q’ärräbä – ቀረበ. 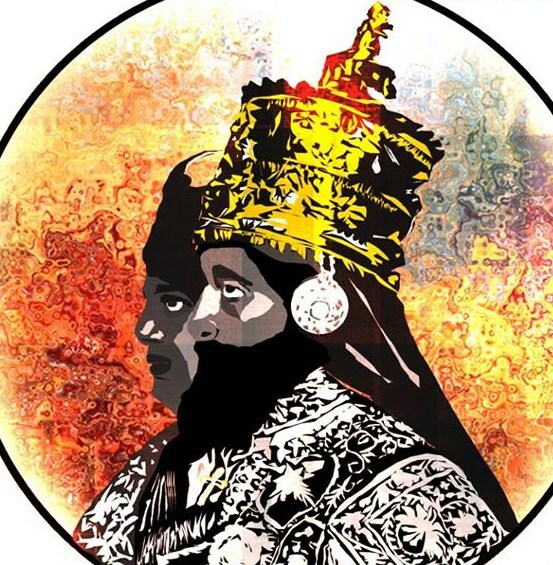 The Ethiopic calendar is solar (with its correspondence to the Sun) aligns to this Sabbath (or Senbet-ሰንበት) in the Ethiopian language of Amharic, which is currently one of the languages of the Ethiopian Orthodox Tewahedo Church (the other language being Ge’ez-(ግእዝ). The last portion of study shows Judah, pleading on the behalf of his younger brother, Benjamin. Judah explained to Joseph, the affinity that Jacob(Israel) had to Benjamin. He continued to elaborate on those reasons showing that it was because of Joseph’s supposed disappearance that Jacob(Israel) was very “overprotective” (so, to speak) and cautious of Benjamin’s well-being. 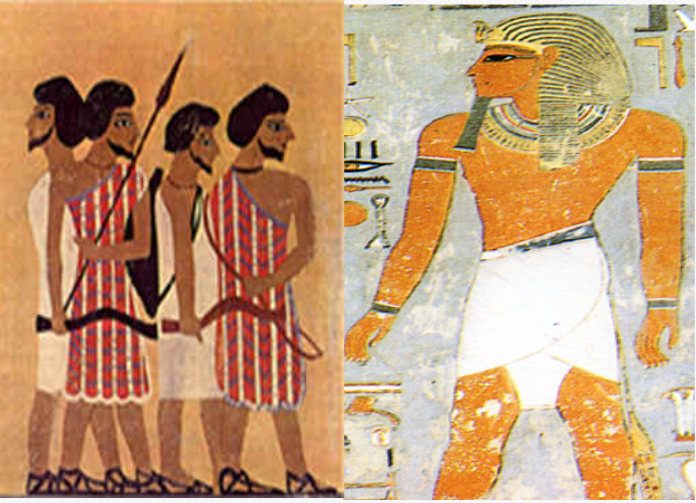 Joseph, cunningly made arrangements of his own, to have his family in the land of Canaan, to come to Egypt. For Joseph knew not at first, if his father Jacob(Israel), was even alive or not; but upon speaking with his brother & going unnoticed by him (& the other nine as well), he knew that he was now, alive & well of old age. But, going on in speech with his brother Judah, Joseph couldn’t hold back his emotion at hearing about the plight of his kindred during the famine. Joseph, then revealed who he really was, wept and embraced his brothers. 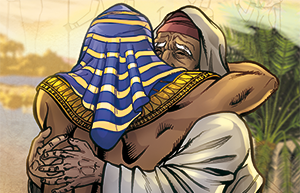 Forgiving them, for their past encounters, & revealing to them how their families, flocks and possessions would now find a home in Egypt, for the famine so great. 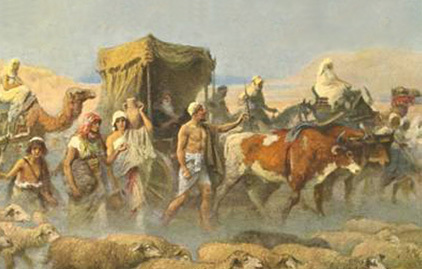 So Joseph, pleaded with Pharaoh to allow his kindred to relocate. Hieroglyphic remodeling from Egypt accounts of migrations in flight of famine. Joseph, gathered his family and his kindred into the land of Goshen, for they had flocks, cattle and he coached them into telling Pharaoh that they were shepherds. 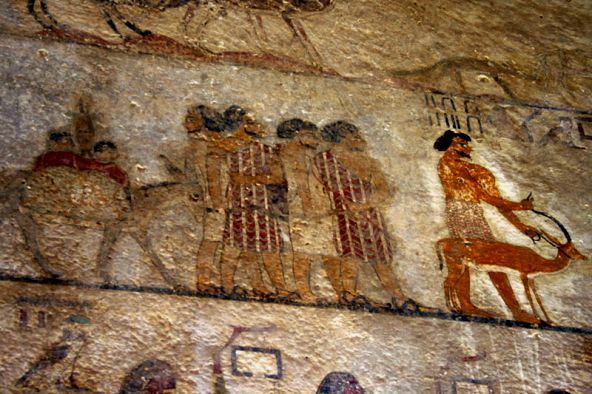 Joseph, managed the house of Pharaoh in Egypt well for he was a governor & because of the famine many came to buy food from Joseph. He stored the grains and seeds of the land in plenty, & many came to barter to feed themselves and their families, in exchange for others things.